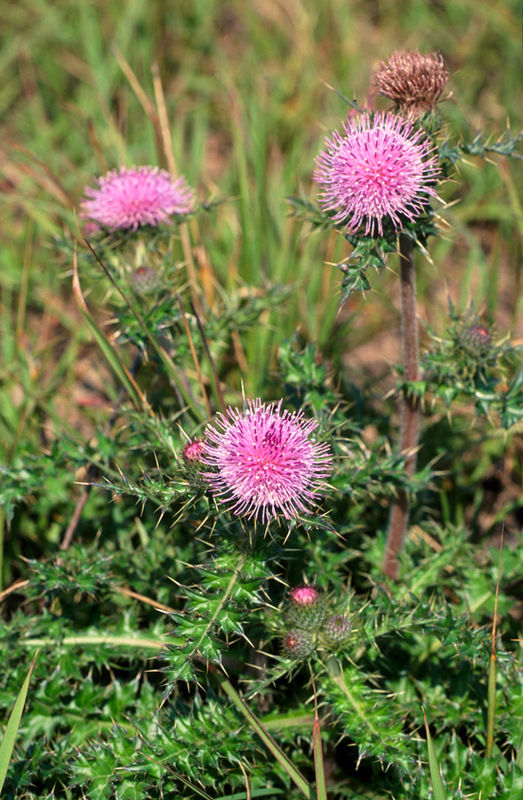 Common Name: Small thistle, field thistle herb. Functions: 1. To cool blood and stop bleeding; 2. To promote urination. 1. Hemorrhages due to extravasation of blood by heat. Small thistle (Xiaoji) is used with Imperata rhizome (Baimaogen), Cattail pollen (Puhuang) and Biota tops (Cebaiye). 2. Bloody urine, painful urination. Small thistle (Xiaoji) is used with Lotus node (Oujie), Talc (Huashi) and Clematis stem (Mutong) in the formula Xiaoji Yinzi. 3. For sores, boils, and carbuncles, it is used alone for an oral dose or crushed for topical application. Dosage: 10-15 g or 30–60 g fresh herb, decocted in water for an oral dose. Appropriate quantity for external use.